Jamie O’Connell, a member of the editorial team that worked on the Dublin Illustrated Edition of Ulysses, gives his view on the famous text and Bloomsday festivities. As Bloomsday approaches, I await the parade of boater hats, striped jackets and lace dresses, as Joycean fans flock to Dublin to celebrate a book that has been said to have ‘changed the face of literature’. The first festival of its kind was in 1954 on the 50th anniversary of the events in the novel; the 2013 pilgrimage through Dublin along the route taken in Ulysses is said to be the largest annual event yet. I did start other episodes but they appeared indecipherable to me. After making various attempts, attacking the text from varying angles, I put the book aside with the thought that I’d likely finish it ‘some day’, though if I was honest, I probably felt I’d go through life without having quite got around to finishing it. However, this year Ulysses and Bloomsday will have a very different significance to me. Last summer I began working for O’Brien Press and I’ve been part of the editorial team preparing the Dublin Illustrated Edition of Ulysses in conjunction with The James Joyce Centre. It was not a usual editorial job. After all, Ulysses isn’t a manuscript that needs to be edited in any literary sense. Rather I’ve felt like a tenth century monk in one of those beehive huts, reading the prose letter by letter, word by word in various currently available versions, attempting to create an edition that is as close as possible to the original 1922 text. Wayward commas and colons were returned to their rightful place. Mixed up vowels, apparently ‘corrected’ in newer editions, were replaced with the original. And what has been created is something loyal to Joyce’s creative vision. After all, there have been many warning examples of ‘corrected’ Ulysses texts; a 1984 edition was eviscerated in the New York Review of Books for taking what it felt were liberties in its edits. As luck would have it, I was given responsibility for Episode 14 ‘Oxen of the Sun’, described as the most difficult episode in Ulysses. On my first general read, I felt my stomach clench as I thought about the logistical nightmare of correcting a text that was written in a largely phonetic way with a near incomprehensible narrative. In the end, it involved reading each syllable out loud, comparing texts, checking each letter, all ninety-seven thousand of them. But what did emerge as I read, was the expert skill Joyce had with voice. Like an actor that can shift from role to role seamlessly, so Joyce moves from one dialect to another with ease, from Shakespearian to Victorian to slang. The language is sometimes bawdy, with a mix of alliteration and plenty of innuendo – there’s no denying the richness and texture of the prose. 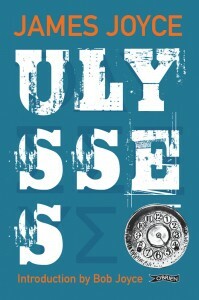 This new edition of Ulysses will launch this June to coincide with the 59th Bloomsday celebrations. That is why with a measure of pride of I think of my contribution to the 2013 festival and to the general Ulysses legacy, however tiny. Perhaps it’s time to don a boater hat and join the likes of David Norris and President Higgins as they pay homage to one of Ireland’s greatest writers. 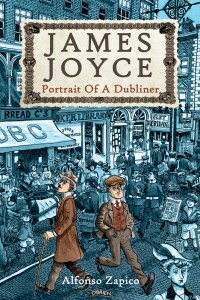 For more information on the Dublin Illustrated Edition of Ulysses click here. When something like Dubliners by James Joyce comes across your desk for a new jacket and design concept, it really deserves a little more attention. How do you represent the visual shell of one of the most famous books in the English language? Indeed. All of life is here in this collection of fifteen short stories. The characters of these stories, these ordinary Dubliners lives, loves, triumphs and failures are observed with a sharpness and empathy that few writers have ever achieved. Father Flynn in The Sisters, Jimmy Doyle trying to better himself and failing in After the Race, these, for me, were just two ‘windows’ on these Dubliners’ lives that convinced me that using the ‘window’ as a metaphor might be the approach to take. The stories centre on Joyce’s idea of an epiphany: a moment where a character has a special moment of self-understanding or illumination. The initial stories in the collection are narrated by children as protagonists and, as the stories continue, they deal with the lives and concerns of progressively older people. This is in line with Joyce’s tripartite division of the collection into childhood, adolescence and maturity. 1.The tripartite division of the collection of short stories into childhood, adolescence and maturity. This is achieved by splitting the word ‘Dubliners’ in three. Also within the book three photographs break up the main body of text. 2. A ‘window’ looking onto Dublin of the period hidden behind the letters. As the stories look deeply at their characters, the image used is College Green in 1914. What did you think of our cover? For more information on Dubliners click here. 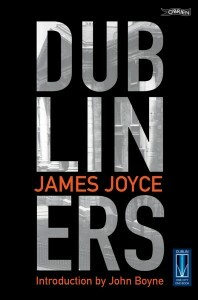 Throughout the month of June receive a 20% discount on all our James Joyce books when you buy online at www.obrien.ie! Did you miss the interview with author and illustrator Alfonso Zapico in the Irish Independent last week? Well don’t worry because we have all the inside information on his fantastic graphic novel James Joyce, Portrait of a Dubliner here! Read on to find out more about his fascinating project! Alfonso, how did you come up with the idea to create a graphic novel about the life of James Joyce? There are a lot of reasons I decided to write the book, no one reason alone. It was a test in a way, to see if I could actually do it. 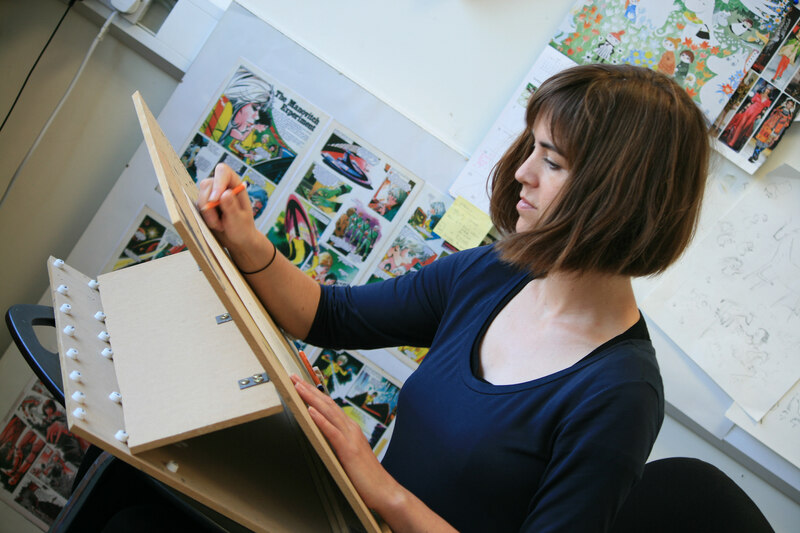 I like to try to build a life with all the elements around a character: the scenery, the places, the other characters, and to recreate the atmosphere of the time through my drawings. I suppose it’s similar to making a film, but with paper and ink. It was a very interesting experiment! The other reasons were more philosophical: James Joyce was a pioneer in 20th century literature: he changed people’s view of the world and society, he rejected the big heroic characters and gave prominence to ordinary men and women, real life, the little details of human existence. And the third reason, and maybe the most important one for me, is the rebelliousness of Joyce, his optimism, and the way he overcame so many challenges during his life. Perhaps this is an Irish trait, I think you can see it throughout Irish history. How was your experience of researching the book and the life of James Joyce? The most important thing for me was to try to get across to the reader the spirit of Joyce, this great artist and his world, his vision of life. When I was researching the life of James Joyce, two essential books for me were the biography of Joyce by Richard Ellmann and ‘Joyce for Beginners’ by David Norris & Carl Flint. Also, of course, Joyce’s books: in ‘Ulysses’, ‘Portrait of the Artist as a Young Man’ and ‘Dubliners’, I found lots of small details that helped me to build Joyce’s Dublin. You also did some research for the book in Dublin, how was that? I spent many months doing research for the book in Dublin and the experience was fantastic! I didn’t just want to create my drawings from old photos in books. In order to get across the essence of a place, you have to visit that place. I walked the Dublin streets, I saw the colour of the sky, I drank beer in the pubs, I ate fish and chips, I talked to Dubliners. Old photos are all very well, but Dublin is a magical city, and you have to go to the heart of Dublin to try to understand Joyce. Maybe this special atmosphere is not always visible to people who live in Dublin, but for me as a visitor, it was a joy the first time, the second time and every time I return to this wonderful city. Thanks very much for the chat Alfonso! Plus head to www.obrien.ie where you can get 20% off all our James Joyce books for the month of June!